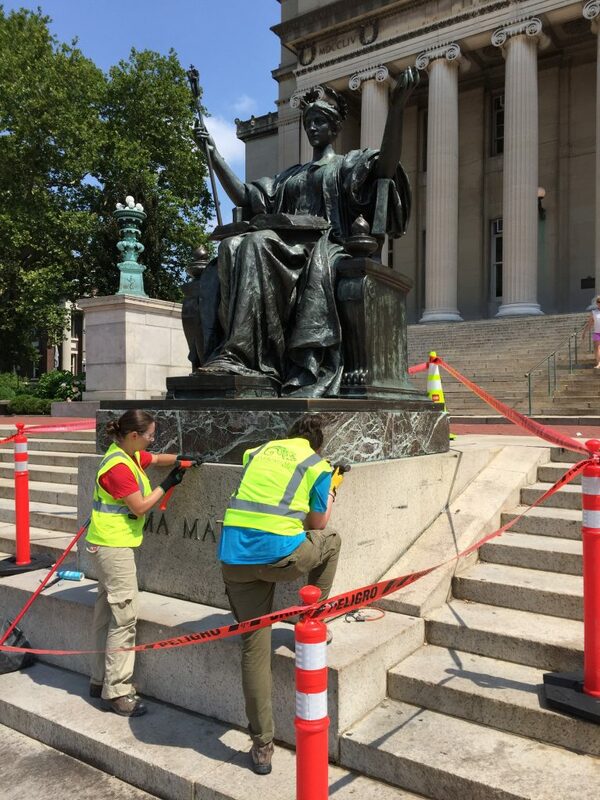 Art Properties, Avery Library, and Columbia Facilities is pleased to be working with Conservation Solutions/EverGreene Architectural Arts Inc. for the cleaning and conservation of a few public outdoor sculptures on the Morningside campus in July 2018. The most important work on campus that will be affected by this short-term project will be Alma Mater. Other sculptures that will have conservation work done this month will be Le Marteleur outside the Engineering school; the Battle of Harlem Heights relief sculpture on Broadway near the Earl Hall gate; the two-part Rives Memorial reliefs on College Walk; and the Mitchell Memorial on the exterior wall of Hamilton Hall. 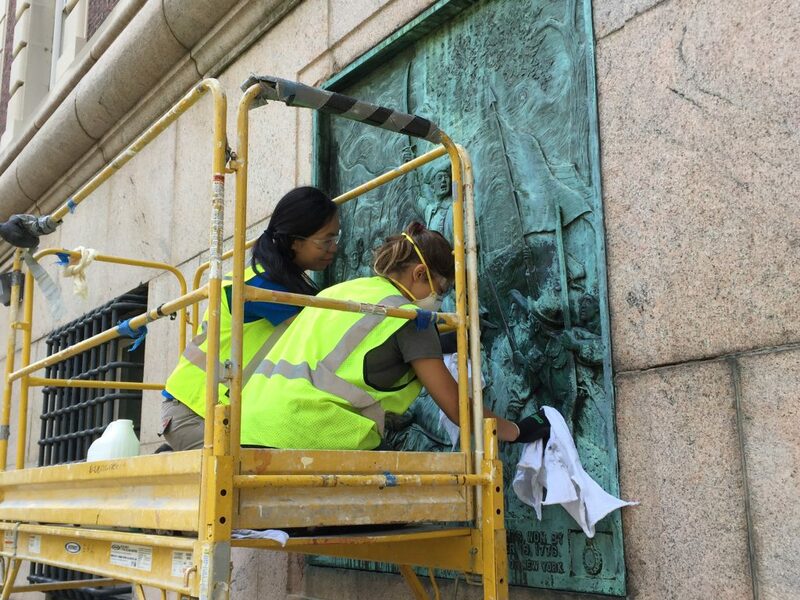 Many of the employees of EverGreene are alumni of GSAPP’s Historic Preservation program and we are delighted to have them back on campus working on these sculptures. 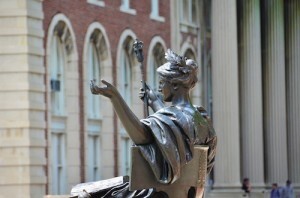 This entry was posted in Morningside and tagged Alma Mater, AP photos, Battle of Harlem Heights, conservation, Daniel Chester French, James Edward Kelly on July 11, 2018 by Roberto Ferrari.